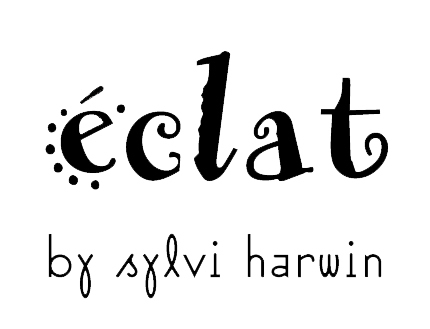 6″ long, 30 color combinations. Shown in Cool. 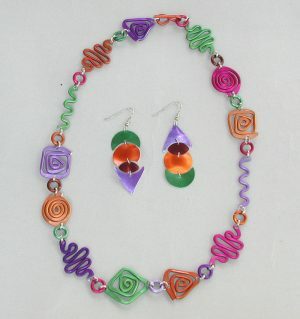 18” necklace with wire shapes & rings. 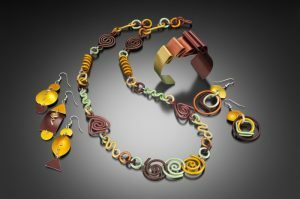 Shown in Granada with HC cuff (left) & SPC cuff & 3 Swirl earrings. Necklace 24” long on stainless steel sports chain with hook closure. 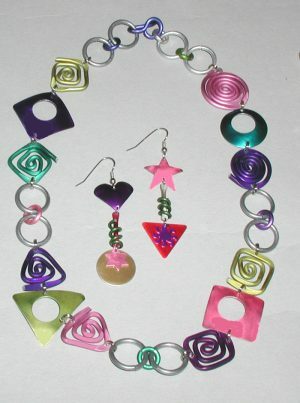 Shown in Hot (left), Candy (center) & Primary. 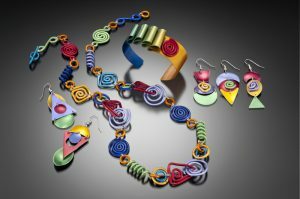 21″ Long, alternating wire shapes, cut shapes and loops. 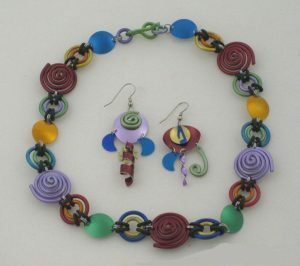 Shown in Brittany with KP3 earrings. 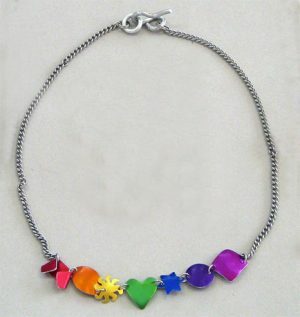 Link Necklace 18″ long. 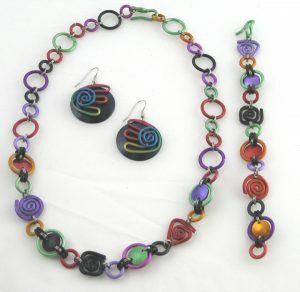 Shown in California Sunrise with YO3 earrings. 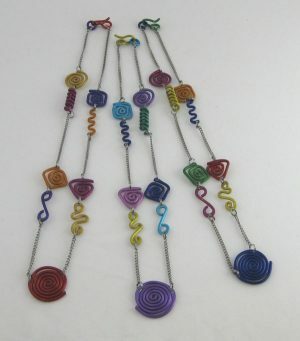 Necklace of wire shapes, 27” long with hook closure. 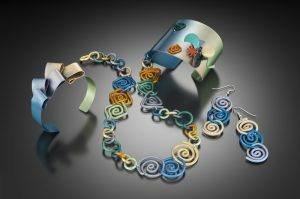 Shown in Marrakech with LOL earrings (left) & IM triad ear (right) & WNC cuff. 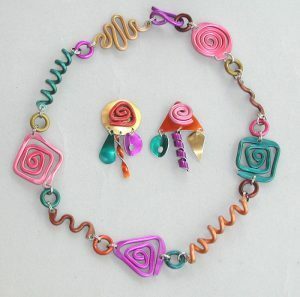 27” necklace of wire shapes & rings. Shown in Sahara with ABC triads (left) & JAQ2 (right) & WNC2 cuff.